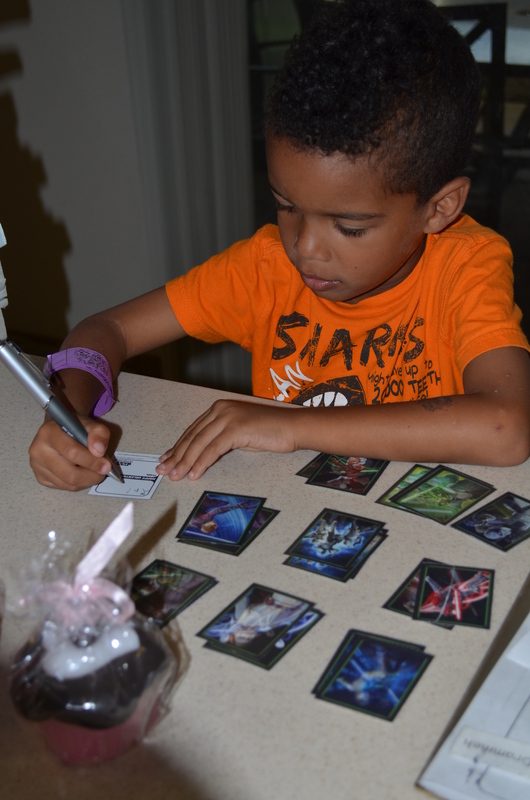 First off, can I state that sitting with your kindergartner while he writes out 25 cards is not the best time ever. I was very, very tempted to drink at multiple times. But we got all of them done. (Also please note the “I dazzled at school today” wristband! Stellar student! Here is the breakfast set up, some fun goodies and balloons. I got the plates in the Target dollar section and I love them! I love divided plates!! 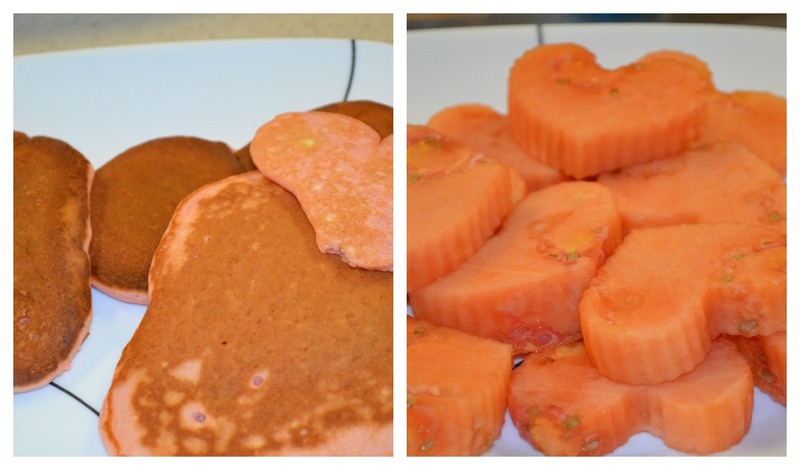 And breakfast was pink heart pancakes, pink milk and the weirdest color watermelon I’ve ever seen. But hey, it fit the decor. Mckenna was all dudded up in her $5 Target tee, (Omar declined a Valentine tee… boys.) 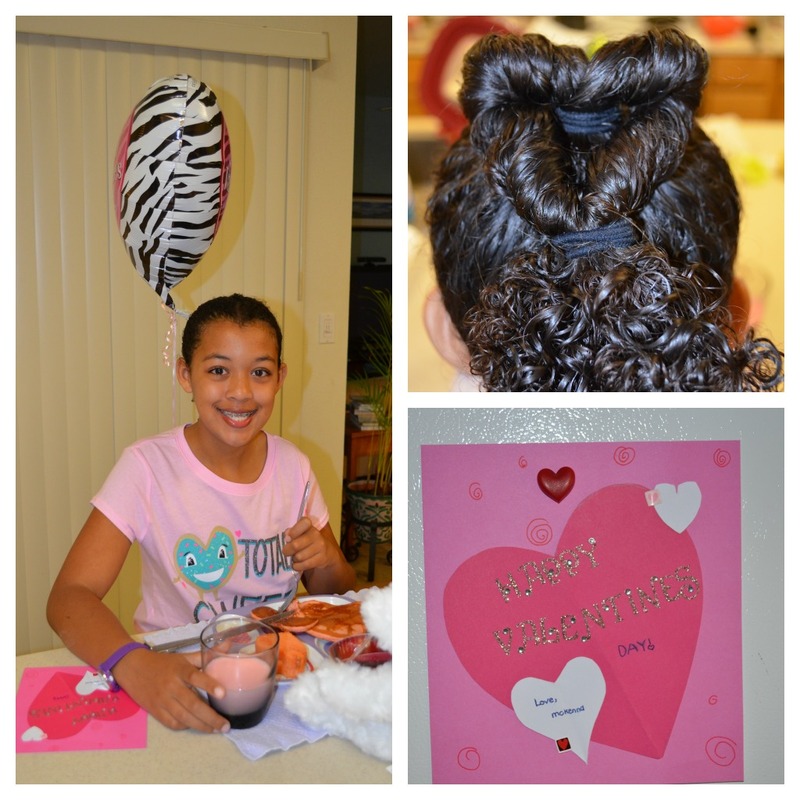 Cute heart shaped hairstyle is super easy to do and looks great. 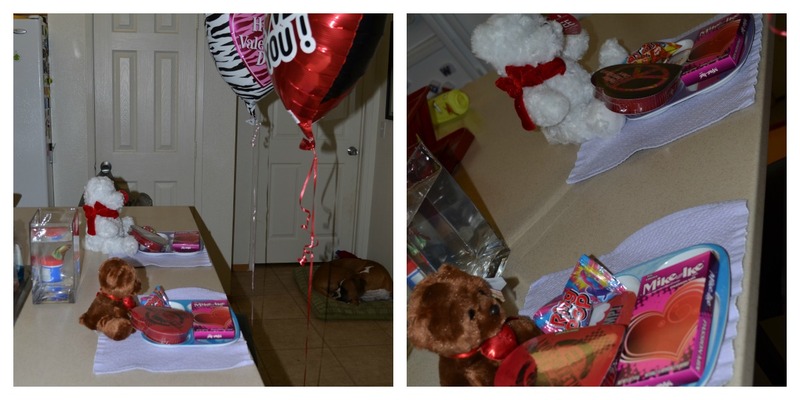 And of course her Valentine to me… So adorable! I was spoiled by my mom (pretty flowers! I’ll take a picture when they open!) and my husband (VS gift card and a new Coach purse! Whoohoo!) It’s great to have one more holiday done and over with, that much closer to homecoming! I had to do my two year old’s Valentine’s. I had the opposite problem. She wanted to do them all. I had to give her an extra one several times over and pretend she was doing it.